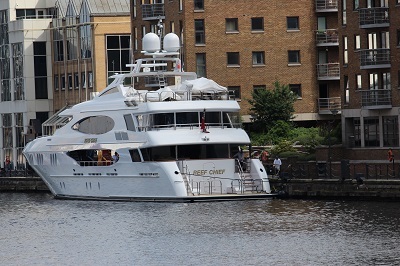 It would seem that Superyacht season is in full swing with the arrival of the Reef Chief in West India Dock. The yacht was previously named Anjilis and her luxurious interior is designed by Glade Johnson Design and her exterior styling is by Geoff Van Aller. 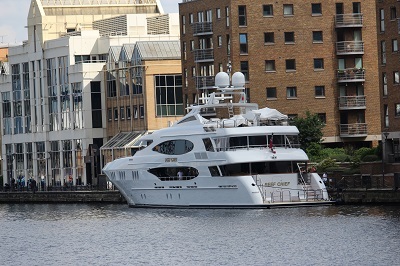 The yacht has a aluminium hull superstructure with an ultra-modern stabilization system. 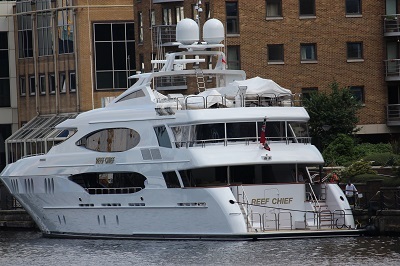 Reef Chief can accommodate 11 guests in 5 rooms and can carry up to 9 crew onboard. 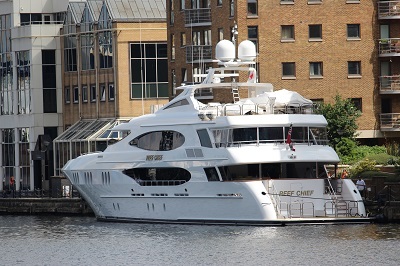 Various reports suggest the yacht has been sold recently, but as usual it is very difficult to find out who actually owns the vessel. 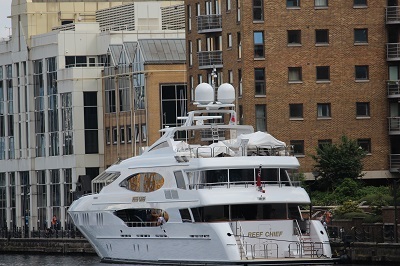 It is nice to see a few ships beginning to visit the dock despite the development all around the dock. By isleofdogslife in Dock Life on June 20, 2018 .